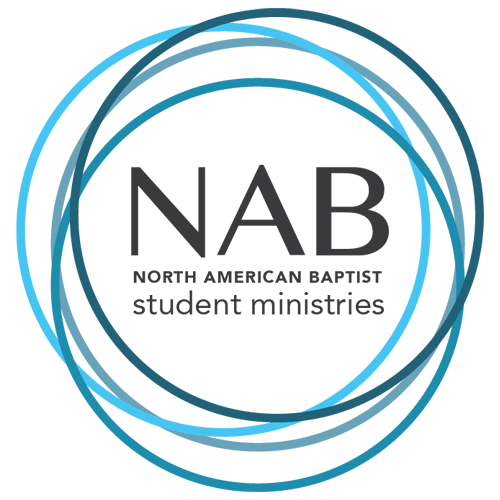 NAB Partner Ministries – North American Baptists, Inc. This team of five women from across the United States and Canada seeks to serve the women of the NAB. We believe women play a valuable role in ministry. The mission of the Women’s Connection Leadership Team is to serve as a source of encouragement and equipping for women leading and serving within NAB churches. The vision of the WCLT is to engage with women as God works through their lives, providing leadership training opportunities and passing on resources and support to enhance their ministry efforts. Click here to subscribe to the TouchPoint newsletter. The Youth Ministry Leadership Team strives to create a network of NAB youth leaders, connect students from across the conference, and link student ministries to overseas projects and ministries. Every three years, youth leaders are given the chance to connect and rejuvenate at The Summit. Students take part in The Gathering, a triennial youth conference / mission trip that connects students across the US and Canada and provides an opportunity to serve. Click here to subscribe to the YMLT email newsletter! The Heritage Commission exists to manage the archives of the NAB. This includes encouraging the translation of key historical documents from German to English. It is the main resource for all materials and research services related to the NAB Conference. Church Investors Fund is a not-for-profit financial institution affiliated with the North American Baptist Conference. Its mission is to assist local churches within the United States and Canada with facilities development – helping them respond to God’s call to make disciples. Its primary purpose is to help spread the Gospel by providing financing for the acquisition, construction, and remodeling of churches, parsonages, and other projects for NAB churches and organizations to enable them to expand their ministries. These funds are made available by offering competitive investment opportunities for the constituency of the North American Baptist Conference and those associated with an NAB organization. Sioux Falls Seminary develops servants for their participation in the Kingdom mission. This has been its focus since it began offering theological education in 1858. It provides systems of theological education and integrative counseling that are accessible, affordable, relevant, and faithful for the purpose of empowering people where they are, thereby offering a journey toward God’s hope. Founded in 1940, Taylor is in a season of renewal and growth. The mission of Taylor Seminary is to provide graduate-level theological education for men and women who are committed to obey the Lord in career, church, and community. Its primary focus is on training for pastoral and other vocational Christian ministries. It also prepares those who are called to serve as intentional disciples of Christ in the marketplace and society. It performs this ministry within a context that is both Baptist and evangelical. White Cross is a ministry supported primarily by the women of the NAB. This ministry grew out of the Red Cross work being done everywhere during World War I. American Baptist women inaugurated the White Cross program in 1919, and three years later the North American Baptist Conference women joined this effort. White Cross provides for direct and tangible participation in the compassionate care ministry of the North American Baptist Conference in Cameroon. Those who participate in the ministry are partnering and assisting our missionaries through the cutting and sewing of baby layettes (baby blankets, baby diapers, and baby jackets), the rolling of bandages, and the cutting of absorbent squares, as well as in providing sheets, pillowcases, hospital supplies, guest house supplies, and medical supplies. It has even received a sawmill!